Traffic speed monitoring cameras coming out in a variety of versions. Significantly prevent traffic offences, improve road safety and reduce risk of potential casualties. RAMET outdoor range with unique and state-of-the art technology. 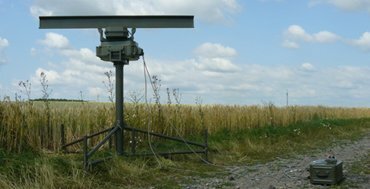 Far-field testing and measurement capabilities of antenna electrical parameters, high reliability and accuracy of measurements. Single phase switching power supplies designed to be used in surveillance systems. Perfectly suit also for TV and radio transmitters. 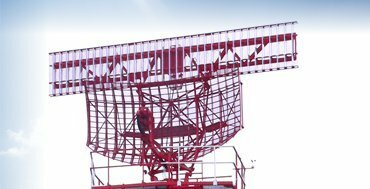 Primary & secondary solid-state surveillance radars for ATC purposes produced by RAMET combine latest radar technology with high reliability and low maintenance requirements. Mobile & stationary passive survaillance, reconnaissance and monitoring ELINT systems enabling automatic detection, identification, location and tracking of electronic signals emitted by air, ground and naval targets. Our training simulators will teach you how to use our equipment properly. No matter whether in classroom or in field, you will learn what you need. Our product portfolio includes both passive and active radar systems. The passive systems are guided by motto "to see and not to be seen". The systems are intended to gather ELINT information in areas of interest. The active systems are designed in particular for ATC purposes and are represented by fully solid state primary and secondary surveillance radars. RAMET is one of world leaders in the field of law enforcement traffic solutions. Our speed cameras represent an effective tool how to affect behaviour of drivers with the aim of improving road safety and reducing occurrence of hazardous situations on the road. Our mobile system as well as the non-intrusive fixed one have won recognition and popularity in many countries of the world. Significant part of our production focuses on design, development and manufacturing of antennas and other mechanical parts used within ATC systems. 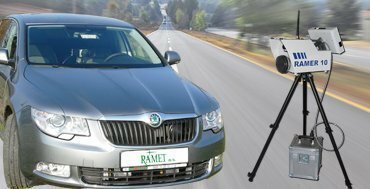 ​Thanks to our long-term experience and expertise achieved in this field, the products are utilized and well accepted also by other ATC systems manufacturers..
For over 50 years, RAMET a.s. has been offering a large variety of products from specialized fields such as radar technology, law enforcement and electromechanical engineering. We make use of our long tradition and expertise in the field, enabling us to deliver high-quality solutions perfectly matching your needs.